REVOLUTIONARY soft tissue treatment tools with a patented textured surface that allows for quick and effective tension release. 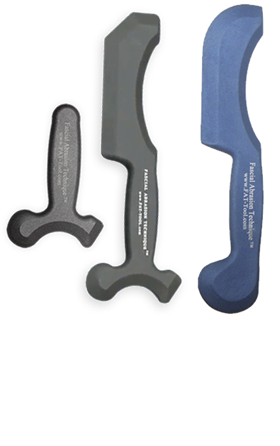 These models are specially designed for health care providers to help treat acute and chronic musculoskeletal injuries. An all-in-one tool made with a comfortable handle, a patented textured surface and 21 treatment edges to address all areas of the body. 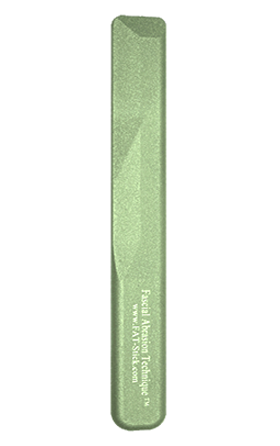 Unlike most other tools, it leaves no bruising and virtually no skin irritation. Ideal for Personal Trainers and Strength Coaches. This all-in-one tool features a comfortable handle with multiple edges to effectively loosen areas of general tightness in large and small muscle groups. 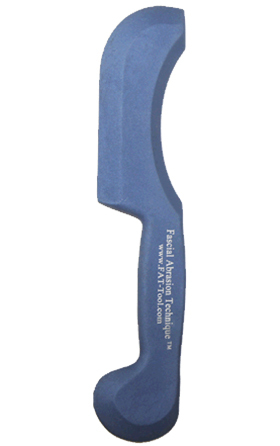 This FAT-Tool model features a patented textured surface for maximum effectiveness. Use this tool to help your clients improve their mobility and recovery. The FAT-Stick, when used properly can be effective at loosening areas of tightness and leave you with a feeling of increased mobility. The FAT-Stick is often used post exercise to aid in recovery. 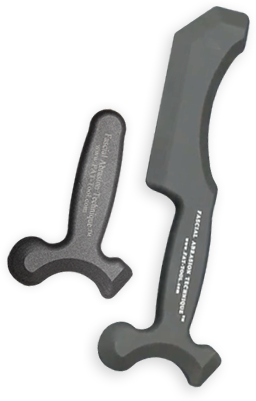 The FAT-Stick features a patented textured surface for maximum effectiveness.